I woke up this morning and my nose is still running and now my throat is scratchy. I can feel a phlegmy cough coming and I can NOT get sick now so I upgraded myself to DEFCON 1 and have prepared various foods today to defend myself against my enemy. It’s a Cold War in House of Pikko! I made miso soup with tofu for breakfast and packed the rest of it for lunch. 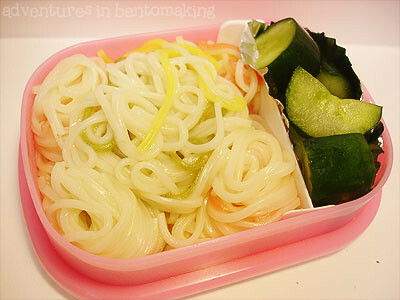 To eat with the soup, I packed some of my rainbow somen noodles. These noodles are cute, but there aren’t really that much colored noodles so it’s disproportionately white if I don’t cook a whole lot. 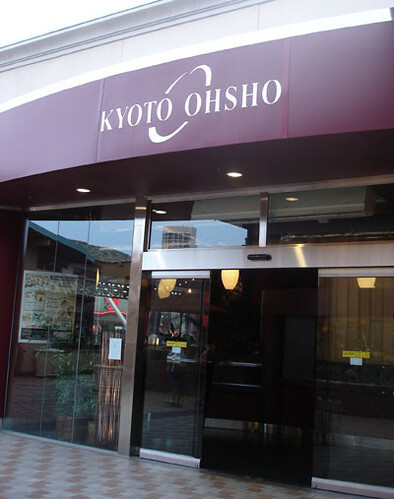 On that note, I’ll have to email my mom and ask for her somen salad dressing, it’s win! Added some cucumber kim chee since it’s salty and may help. 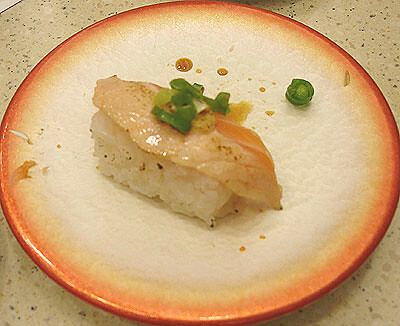 In my bottom layer I have plain rice and ume. 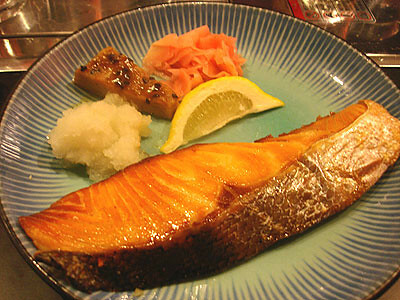 I’ll eat the ume with some of the rice first and then make the tea and add the ochazuke mix. When I was a kid we called it “chacha rice” and it was a great comfort food when sick. I didn’t think to bring the camera to show what it looks like once I open it, but it’s flavoring, little strips of nori, and little cracker sticks. The tea is my favorite type of tea, brown rice tea. 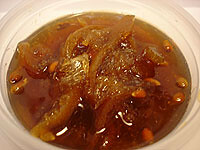 Last of all I have some honey lemon peel that my mom made for me a couple years ago. It’s been sitting in the back of my fridge all this time and the years have made it taste a lot better than it did when she first gave it to me. She had these lemon peels soaking in a jar in the yard for what must have been 5 or 6 years and they were still pretty bitter. Now that they’ve been drowning in honey all this time, it tastes perfect. Also, she says it’s great for just adding to a cup of hot water to drink. All of these things should help me get better. Hopefully I can nix this cough before next week or even better, by tomorrow as we’re having a UFC 73 party at our house. No kids this time too, woot! Weight was 129.5 this morning. 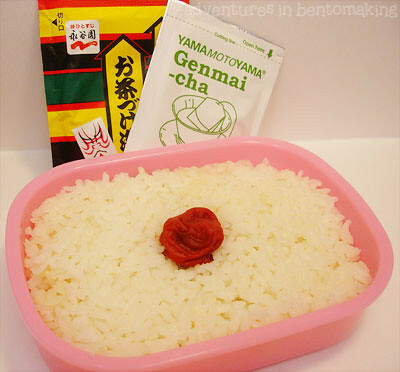 This week, the bento challenge is “game characters”. At first I thought, hey I can do Pikko! But after some thinking today I decided she was too hard and obscure to boot. So Pikko got dumped and I began to brainstorm for an easily recognized game character. Wanting to stick with something Final Fantasy, I chose the ever lovable chocobo! 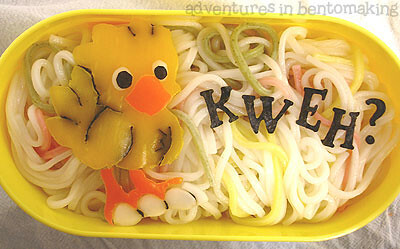 This bento is dedicated to my little chocobo chicky, Princess Bonbon. I raised her from an egg and reserved from my garden the precious cupid worms and vomp carrots that were so valuable at the time. Eventually she was retired to the stables in Windurst. The entire thing rests on a bed of somen noodles, which came with several colored noodles. Isn’t that cute?? I love it! I found it at Daiei. I wasn’t going to use it tonight, but my ever wonderful daughter decided to chew on the package, crushing a bunch of the noodles and puncturing the packaging. As for the “KWEH?”… hahaha!!! I made that with nori using my Quickutz dies for scrapbooking. Bet the Quickutz team never envisioned someone using their product for making lunch! The pictures came out pretty bad; obviously I haven’t yet found time to make my lightbox. Originally I thought putting it into a yellow container would be nice because it matched the chocobo, but instead it made her hard to see. 😦 I’d move it all to another container and re-take the pictures, but that would require energy that simply doesn’t exist in my poor weary body right now. 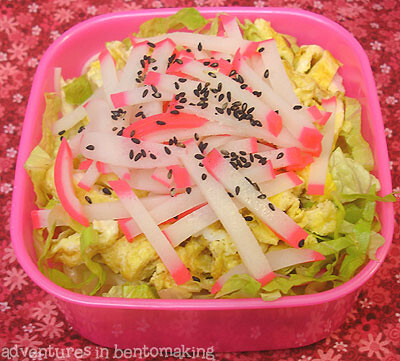 This bento took me a whopping 2 HOURS to make. Good thing the kids knocked out early! 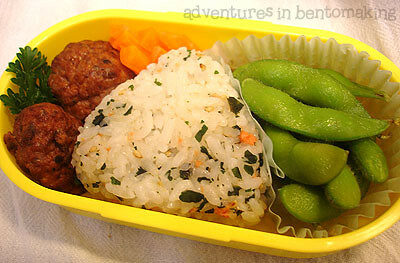 The bottom layer of the bento consists of salmon flavored onigiri, Aidell’s chicken meatballs (teriyaki pineapple), carrots, and edamame.